Why aren’t people with disabilities represented in media? People are becoming increasingly aware of the lack of representation in media of historically underrepresented groups — women, people of color and the LGBTQ community. Many activists have stepped up to demand more and better roles that contribute to the visibility of these populations. It’s hard to argue against the importance of people, young and old, seeing themselves in media, especially when Marvel’s “Black Panther” has shattered box office records, making over a billion dollars after being in theaters for less than one month. Discussion of the lack of representation of disabled people, however, has not permeated the conversation in any meaningful way. Few movie stars are disabled. The stereotypical image of beauty is, at its base level, an able-bodied person. Those who don’t fit this criterion simply don’t make it very far in Hollywood. There are few roles that feature disabled people, and the roles that do exist often perpetuate harmful stereotypes. They are often portrayed as villains. Take Darth Vader — he has a prosthetic arm and an oxygen mask, and is one of the most well-known villains of all time. Captain Hook, the quintessential evil pirate, is an amputee. Sometimes disabled people are vehicles for pity. In “A Christmas Carol,” Charles Dickens uses Tiny Tim to change Scrooge’s heart, because their abject poverty isn’t sufficient to elicit sympathy from both him and the audience. Another disability cliché is portraying living with a disability as an inspirational journey. It is not a disabled person’s purpose to inspire their able-bodied peers. Plus, these films see “overcoming” a disability as being able to operate as similarly as possible to non-disabled people. Such movies teach people to fear and pity disabled people. When they do not conduct themselves in a manner that is familiar to the majority, they are blamed for being too stupid or too lazy. Obviously not everyone knows what it’s like to live with a disability, and everyone’s experience is different. This makes it even more important for all people to see disabled people in media. We look to pop culture — television, film, literature, music — to display stories that are different from our own. They make us more empathetic. It’s especially necessary to note that part of the reason we must ask media to take on this job is because educators do not. The history of disabled people, along with other aforementioned oppressed populations, isn’t taught in the classroom. Fields like Asian-American studies and Africana studies are considered niche, while the history of able-bodied white men is simply American history, and taught to students from a young age. I can count on one hand the number of disabled people I learned about in history class. Even here, in college, I have yet to learn about a disabled person, or read scholarship published by a disabled person. Children with disabilities cannot find themselves on TV or in their history textbooks, and disabled LGBTQ children and children of color have an even more difficult time finding their peers. This lack of representation has profound effects. I couldn’t find a study conducted with disabled children (which is telling in and of itself), but when African American children were shown five children, identical except for their skin color, and asked to pick out the ugliest figure, they consistently pointed to the girl with the darkest skin. A lack of representation teaches disabled people that they are wrong. When you never see people like yourself featured and celebrated, it makes you think you don’t belong, or that you don’t deserve celebrating. I encourage you — disabled or not — to seek out media that is created by or features people with disabilities. Not only will it open you up to a whole variety of stories, but it will show creators that those are the stories you want to see more of. 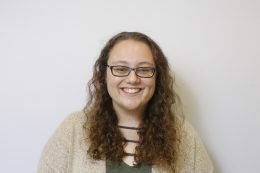 Jessica Gutowitz is a freshman majoring in English.